Customize real-time smartphone alerts. * For example, a cardholder can set up alerts to be sent when a card is used, when a transaction is approved and exceeds any of the permitted use policies, or when a card transaction has been attempted but declined based on the parameters established. 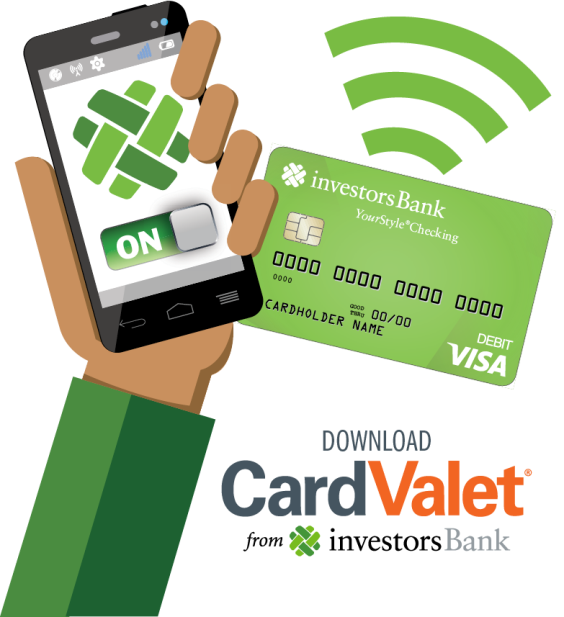 CardValet® was developed in partnership with Fiserv and is available for free in conjunction with any Investors Bank checking account that has a debit card attached to it. CardValet® can be downloaded in the Apple App Store® or Google Play® by searching for "CardValet."